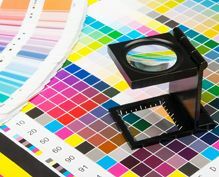 Sri Lanka printing industry has more than 50 years of experience in a Prepress including quality, planning and scheduling and supply chain with customer services. 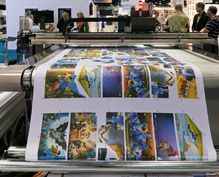 The industry is capable to work on latest technology of the world, related to packaging printing like flexography & offset. 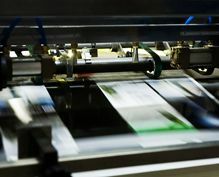 The industry achieved reduced print scrap by maximum utilization of pre-press technology, knowledge of maintaining records of production activity as per world standards. Sri Lanka supplies packaging for global brands and known for world class packaging, flex printing and print products which require highest accuracy. 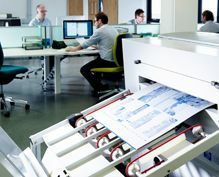 Printing Industry made significant progress over the last few years. Export revenue grew from USD 101 million in 2013 to an estimated USD 122 million in 2016. Total employment an estimated 40,000 employees in 2015, and the number of companies in the industry 4000 in 2015. Sri Lankan manufacturers have proactively expanded their range of products to include a variety of novel, environmentally friendly items. 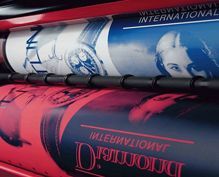 Printing primarily caters to export markets such as Singapore, India, UAE, UK, Germany, Venezuela, and Maldives. Sri Lanka provides a wide range of products to the export market ranging from commercial printing to quality packaging materials such as tea cartons, garment tags, and labels which provides a supporting service to major export sectors. 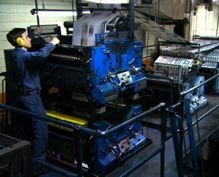 Currently Sri Lankan Printing companies are exporting to many destinations around the world. The main exports are Printed books, newspapers, pictures and other products of the printing industry; manuscripts, typescripts and plans, Pulp of wood or of other fibrous cellulosic material; recovered (waste and scrap) paper or paperboard, Tea cartons, printed empty cartons, apparel inner cartons, Printed paper board boxes (Packaging boxes), Corrugated cartons etc.